This zine compiles four “how to” guides written by ACTIVATE out of Grand Rapids, MI. 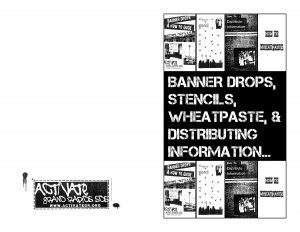 The guides provide basic information on how to do banner drops, stencils, wheatpasting, and distributing information. 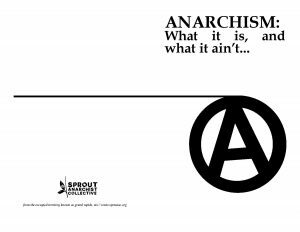 Includes tips on how to make and secure banners, how to design and deploy stencils, how to make wheatpaste, and offers some ideas for distributing radical info and propaganda.